We are putting 4000 mice skeletons on display in our #OrdinaryAnimals exhibition. Over the course of a very long day, the whole team here poked these vials into 100 perspex tubes in order to create the display. 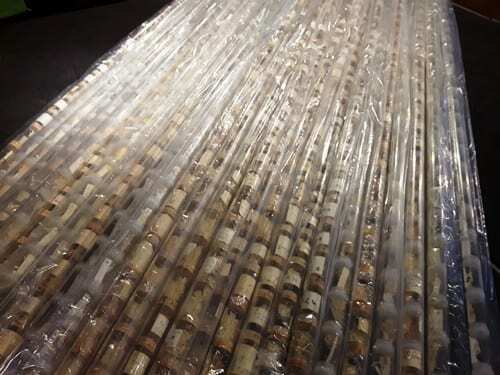 A portion of the columns of mice before they were mounted into the Mice Space display. What’s with all the mice? 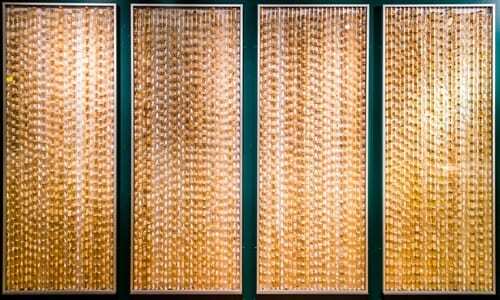 Each column in the display (and each box in which they were originally housed), represents a collection of mice from a different island around the world. Many of them are from the Scottish islands, but some come from as far afield as the Sub-Antarctic. 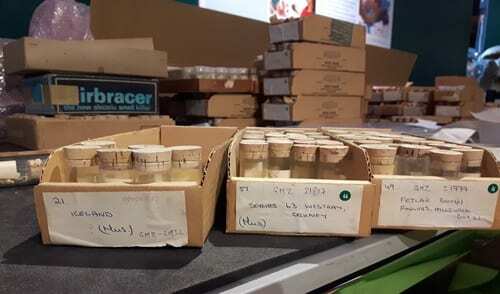 They were collected during the 1960s and 1970s by Professor R.J. Berry, who was a zoologist working here at University College London, in order to investigate some of the interesting things that evolution and ecology do to species living on islands. The mice were collected from islands around the globe. House mice are a great choice for studying these processes as they are a single species found all around the globe. The species is native to northern India, but these mice have recently been transported all across the planet as stowaways. One topic Berry was investigating was “the Founder Effect” – the idea that populations that are started by a small number of individuals colonising a new area (like an island) will not have the same average genetic make-up of the population they came from (the few pioneers will not represent the full range of variation). He also used the mice to look at the effect of climate on how body size varies in a single species with a wide range. He was testing Bergmann’s rule, which states that individuals in colder climates will be larger than those in warmer places, as larger animals can retain heat more efficiently because of their surface area to volume ratio. Islands are particularly interesting for this study as they are typically harsher environments than the nearest mainland. Berry found that body size did indeed increase with decreasing temperatures. The Museum of Ordinary Animals runs until 22nd December. Full details are on the exhibition’s website.